(07-03-2016, 05:41 PM)hovatek Wrote: upload the boot.img and recovery.img . OK, I'll upload when I get my WiFi up and running again. My 3G is a bit slow. My aim is to root the tablet and have supersu so that's why I'm trying to use a custom recovery. I have tried Kingroot v4.9.3 which I got now and working with but 2 months ago I used supersume app to remove it but instead it bricked it (bootloop, hard reset didn't fix it) and I had to sent it to Vodafone to fix it so I'm trying to be very careful now. I read in XDA I think that Kingroot intentionally bricks the devices if you try to replace it with SuperSu. 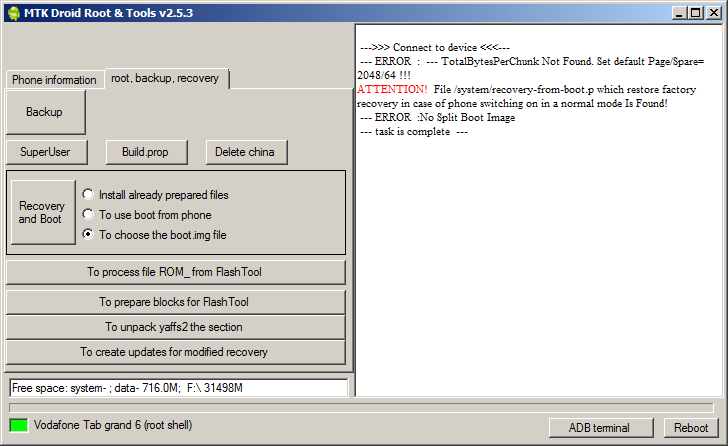 I have managed to do a backup with Miracle box (https://forum.hovatek.com/thread-13347.html) which to my understanding is the tool like flashing kdz to LG phones but it instead reads from tablet. I have done a full backup (ticked all the boxes) and I have a question, can I use the "Write" instead of "Read" in Miracle box to restore the tablet if it's bricked? Or it won't work and it'll need repair again? 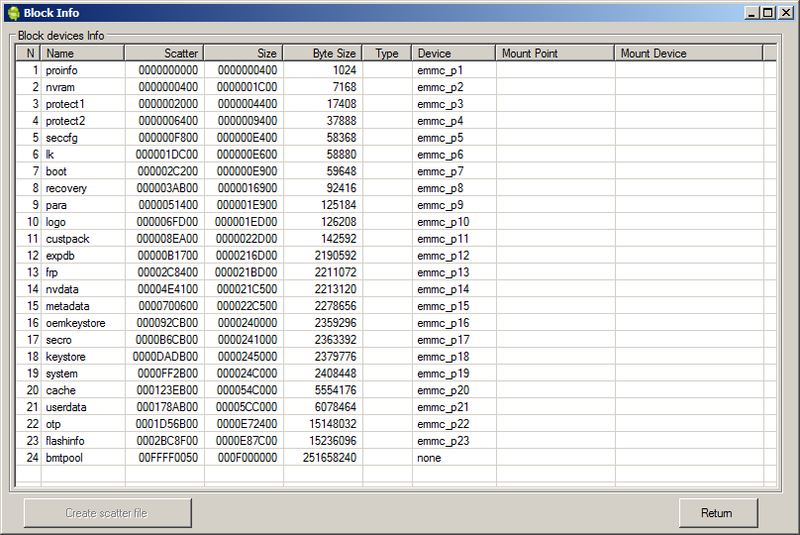 CPU-Z reports SoC "MediaTek MT6580"
I finally managed to do a complete backup of my Rom using miracle and now I have the same question as someoneXgr. Can I use Miracle Box to flash my stock rom back onto my device(if need be) and will the scatter file created with Miracle box work with SPF Tool(will I have to change anything to have it work with SPF Tool)?